Counting on the train to get around? Great! The train is an excellent way to cruise through the countryside in a state of total tranquility! And did you know that Tuscany has one of the best records for keeping its trains on time! However, in the summer the trains are generally pushed to their limits accommodating not only the daily commuters who still need to get to the office but also the extra influx of tourists. While programming your visit a few things to remember, there are several stations undergoing renovations this year and some will create a few inconveniences for the traveler – mainly change of train tracks (binario or binari in Italian). It is important that you listen to the announcements on the loudspeaker and watch the arrival/departure boards. Many stations play the announcments in Italian and English. The railway line between Pistoia and Montecatini Terme will be suspended from 6 August to 2 September due to work on the track. During this period, there will be a substitute service with buses, however please note: it will not stop at the intermediate station of Serravalle Pistoiese. The departure and arrival times of buses (which will stop in the square opposite the station) may vary according to the traffic conditions but they should mirror the normal train schedule. It is important that you pay attention to the announcements and signs at the station. Delays are to be expected on the longer hauls between Florence and Rome and Florence and Naples due to work on the tracks. Remember: always date stamp your printed ticket at one of the boxes at the train station BEFORE you get on the train. 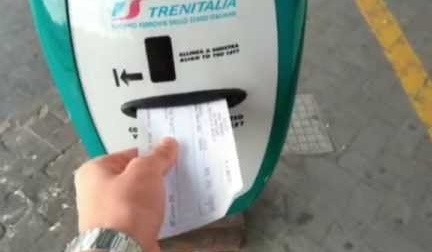 Use this link for real time information on services and train times at Trenitalia. Italo offers this page with real-time updates on trains, tracks and any possible delays. 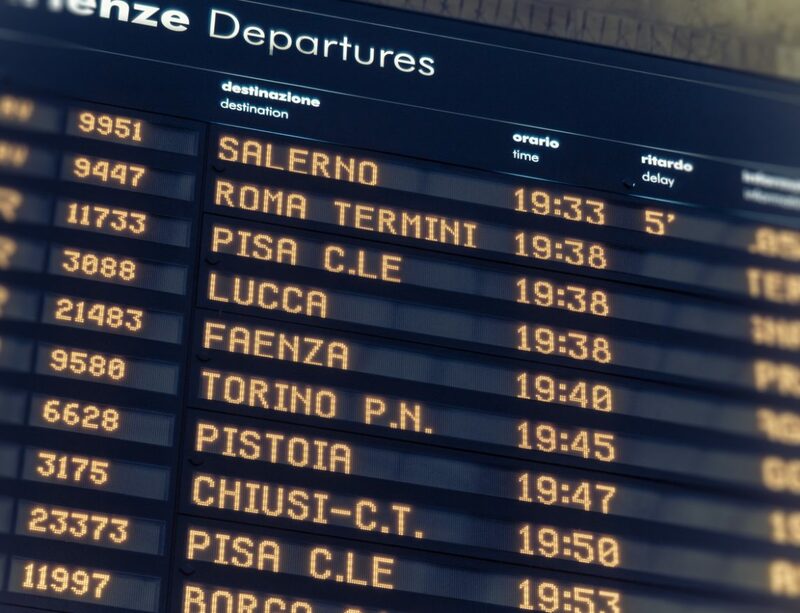 And though there doesn’t appear to be any strikes on the calendar for Tuscany in this period, you can refer to the link below for a list of all the strikes in Italy.